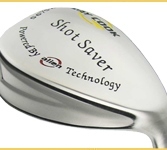 Planet Golf UK has all the Wedges you could need.. Gap Wedge, Sand Wedge and Lob Wedge! we have the lot. Browse the Wedges in our store, you'll notice the low low prices. We are happy to answer any technical questions you may have, call our UK store now!